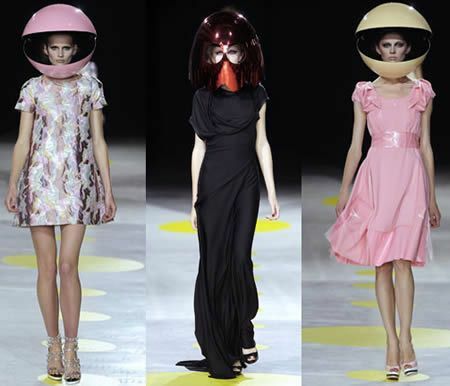 Wacky Pac-Man helmets on the Giles Deacon runway at the London Fashion Week in 2008. 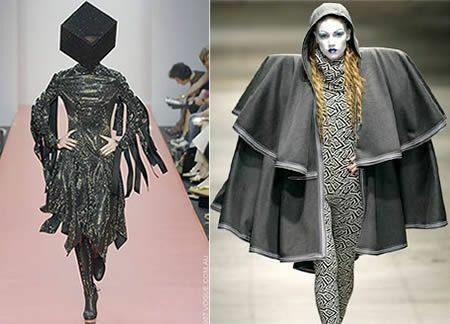 How about Gareth Pugh collection inspired by the Wizard of Oz at the London Fashion Week in 2008? A Carrousel dress at the runway for Manish Arora’s show (Spring/Summer, 2009).The dress was later used by Katy Perry at the MTV Europe Music Awards in the UK. Alexander McQueen’s 10-inch stilettos boots at the runway for his Spring / Summer 2010 collection. These stilettos look so uncomfortable that models Abbey Lee Kershaw, Natasha Polyand, Sasha Pivovarova refused to wear the footwear (dubbed ?armadillo shoes?). 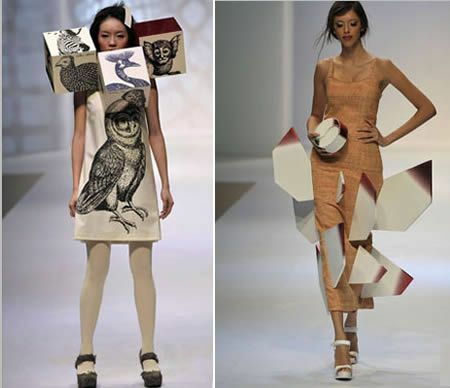 A model showcases designs by Kai Ping as part of the Fashion Shenzen show on the catwalk as part of Hong Kong Fashion Week Fall/Winter 2009 at the Hong Kong Convention and Exhibition Centre on January 15, 2008 in Hong Kong. 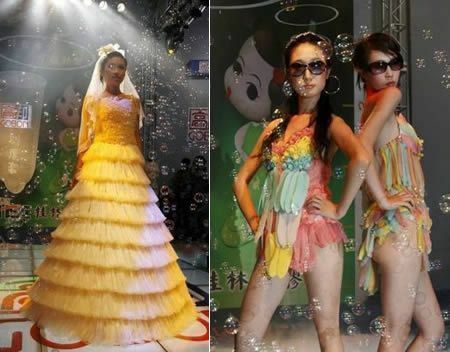 These crazy colorful dresses and clothes are made entirely out of condoms! 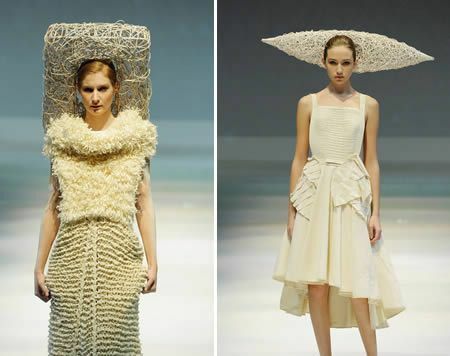 They are part of a runway show of the China Reproductive Health New Technologies and Products Expo. 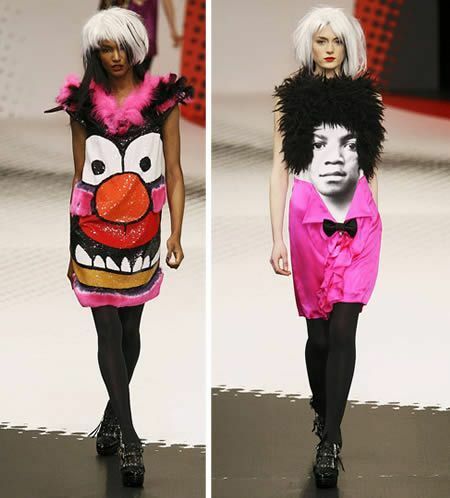 Jean-Charles de Castelbajac Fall 2009 collection includes a Michael Jackson dress and some more weirdness. 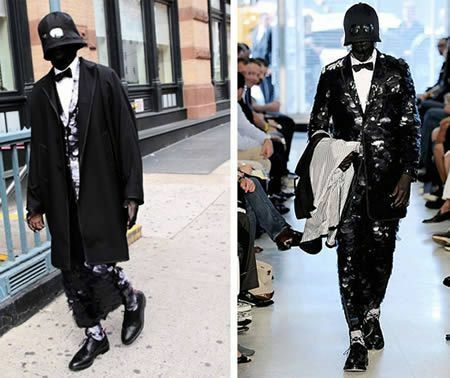 Not so much concerned with the wearable factor, Thom Browne is known for his quirky approach to silhouettes and embellishments. 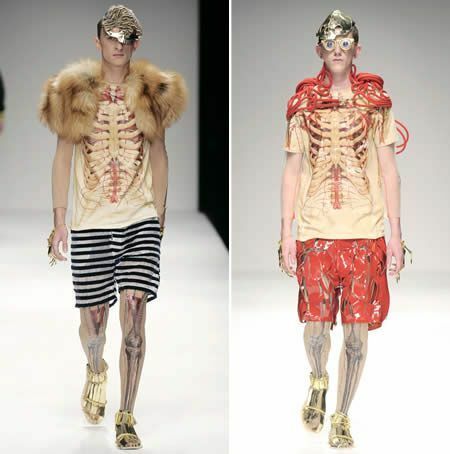 This was spotted on Browne’s final runway piece for his 2009 spring show. 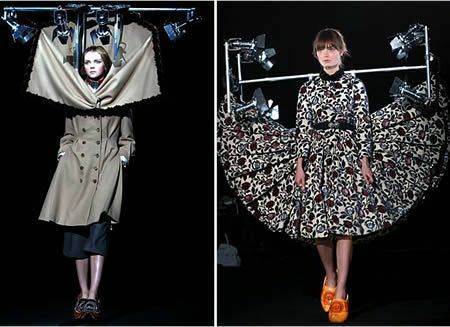 This dress is the perfect one if you want to stay under the spotlight even when you left the runway. 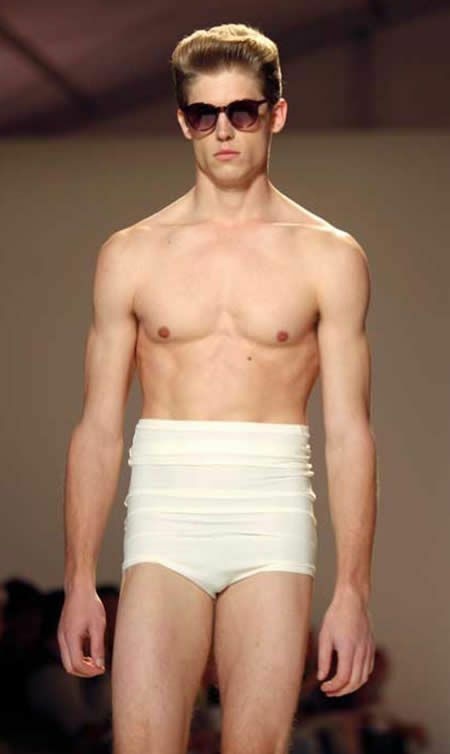 Runway at Milan, Italy’s 2008 Fashion Week. 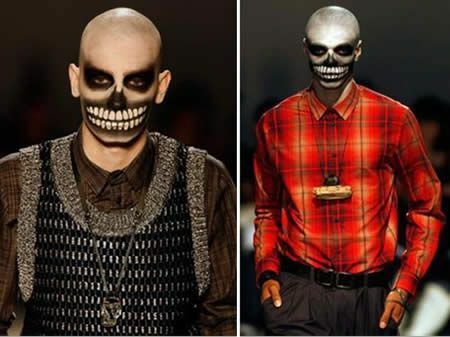 The ?tribal look? 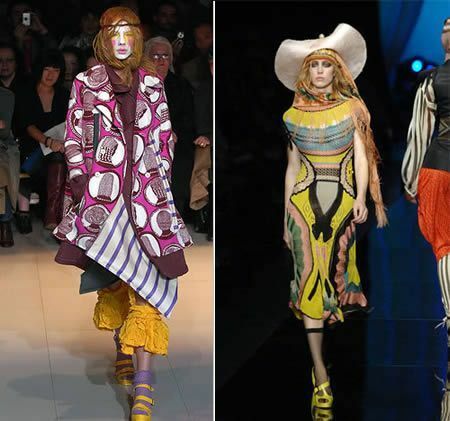 was the trend seen on the runway for Spring 2008: Hippyish headband, crazy prints and colors, ridiculous, huge cowboy hat, clown makeup! Thank God it didn’t leave the runway.